"Wow!" She said "Is this one for my brother as well? I love it!" Only 4 hours to go until she meets Pip. 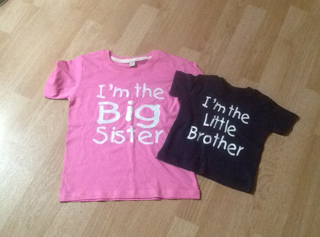 She can't wait to wear her T-shirt and to give Pip his. 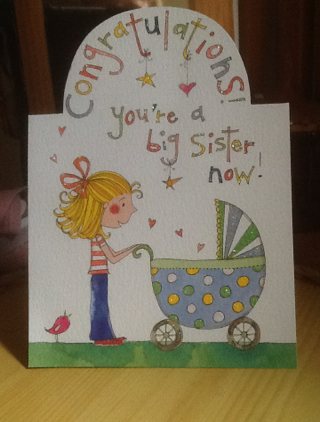 Fab - Im sure she will absolutely adopre her baby brother - Enjoy your day and dont forget your pics of the first time she meets him, obviously for your keepsakes!!! that is just so so so so lovely!